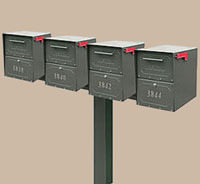 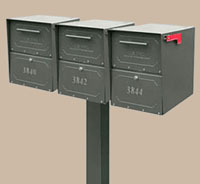 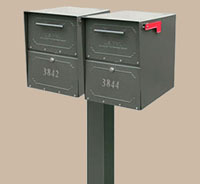 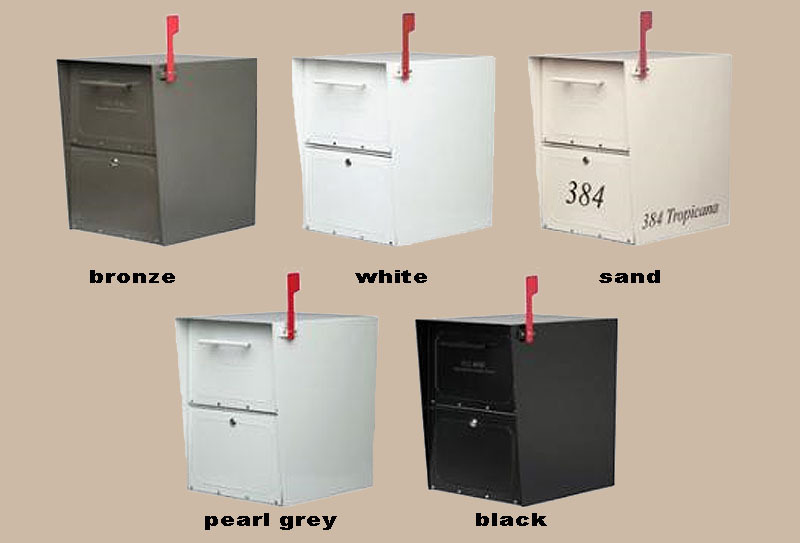 The Oasis Jr. locking mailbox is a smaller version of the popular Oasis mailbox with more post options and is constructed from 14 and 16 gauge steel, stainless steel rivets and hinges and features a durable powder coat finish. 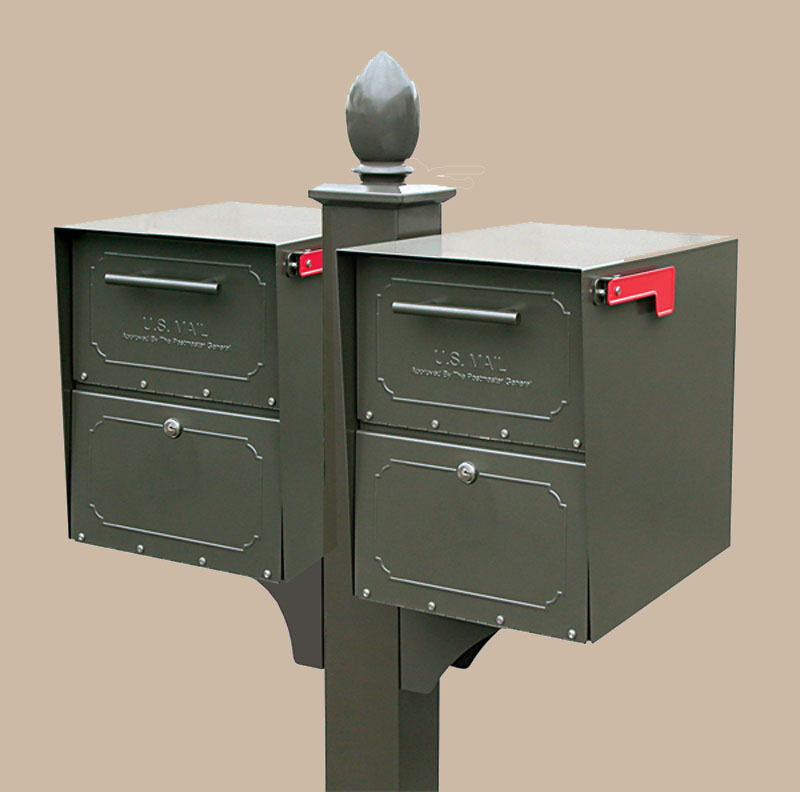 It is constructed almost exclusively with spot welding and welded lap joints to eliminate unsightly rivets on the outside surface. 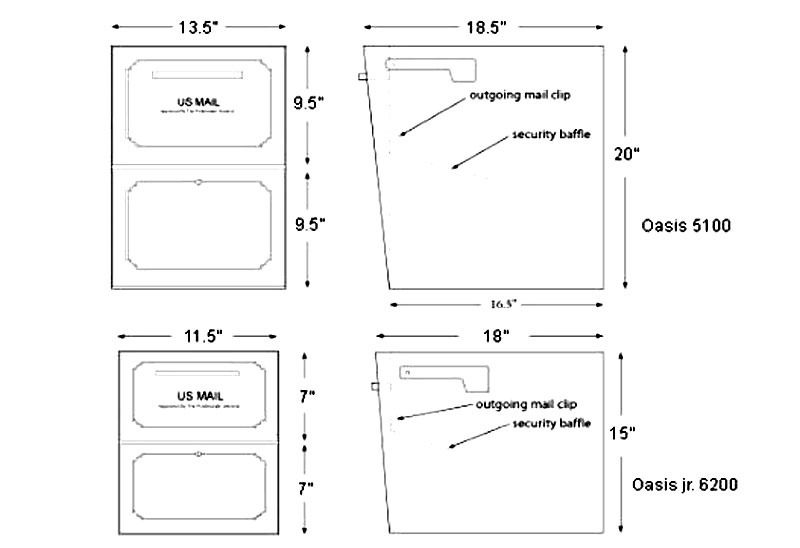 It's unique hopper style door provides for receiving small packages and bulky mail while still maintaining the security you need. Scroll to bottom of page for details.